Friends of Santa Cruz State Parks (Friends) today announced it will host a history-sharing event Castro Adobe State Historic Park on Saturday, Nov. 17 from 11 a.m. to 3 p.m.
“Thanks for the Memories” is a chance for history buffs, locals and Castro family descendants to visit the new state historic park in the Pajaro Valley and share historic photos of the property and surrounding area. Staff will be on-hand to scan the images and add them to the park’s archive and for potential use in the site interpretation. Friends staff is also interested in hearing personal stories and anecdotes about the Castro Adobe and families that have resided there. Photos and documents will be returned immediately after they are scanned. The Saturday event also will include tours of the Adobe and is free to attend. Castro Adobe State Historic Park is located at 184 Old Adobe Road, Watsonville. Parking is extremely limited and carpooling is encouraged. Learn more at www.thatsmypark.org. For those who cannot attend the event, but still want contribute to the historical archive at Castro Adobe State Historic Park, please contact Friends at 831-429-1840. Did you know that Aptos was host to a pioneering phase in aviation history? 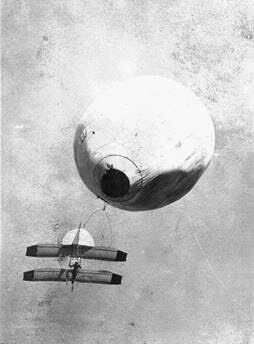 In 1903 a man named John Joseph Montgomery began flying his groundbreaking heavier-than-air glider around Aptos. This glider was the first vehicle of its kind to provide human-controlled sustained flight – before the Wright Brothers flew their plane at Kittyhawk. Craig Harwood, John Montgomery’s great, great grandnephew lives and works locally, and has written a book: “Quest for Flight,” which reveals his great-great grand uncle’s accomplishments, and is currently available on Amazon.com for $24.95 (hardover) and $23.70 (kindle). The Aptos History Museum will be holding a “Coffee, Tea and History,” event on Saturday, March 11 from 3:00 to 4:30 PM. Mr. Harwood will be making a presentation entitled “Transcending Kitty Hawk: The Real Story of Flight as an Intriguing Slice of Local History” His award-winning book Quest for Flight will be available for purchase and personal inscription by Harwood. The presentation will be held at the Rio Sands Hotel Community Room, 116 Aptos Beach Drive, Aptos. $15 donation benefits the Aptos History Museum. Reservations required (831) 688-1467. These Coffee, Tea and History events have been selling out, so if you’re interested in attending, please contact the museum today and secure your seat today! Friends of Santa Cruz State Parks has announced the Castro Adobe State Historic Park will be open to the public six Saturdays in 2016 – and admission is free! This is an incredible – and very cool – cultural and historic resource and is very well worth the trip to check out. The two-story Castro Adobe, built between 1848-49, is one of the best examples of a rancho hacienda in the Monterey Bay area. Open House visitors will be able to tour the property including the restored cocina (kitchen) and the Potter-Church Garden. The garden is a unique outdoor space originally created by then-owners Elizabeth and David Potter (1968-72), in consultation with noted landscape architect Thomas Church. Each open house will be themed to highlight an aspect of the historic property. The Open House Days begin Feb. 20 with “Romance on the Rancho.” Visitors will enjoy traditional hot chocolate, make tortillas, stroll through the historic garden while exploring romance during the Rancho period. You’ll be able to learn about courting and marriage during that era — including the Bolcoff-Castro marriage and the Castro Adobe-Wilder Ranch historical connection — as well as concepts of race and intermarriage in Alta California, the perception of the Rancho Period as a “golden age” compared to what historical and archaeological record show, and the loving relationship between a vaquero and his horse. The open houses will be 11 a.m. to 3 p.m., with the exception of the August evening event. Interpretive Rangers and volunteers will be on hand to offer a “sneak peak” into the restoration process and to assist visitors who would like to enjoy handmade tortillas cooked on the recently reconstructed brasero (stove). The Hideout in Aptos is located along Soquel Drive, just past Aptos Village as you are heading south towards Rio del Mar. It is appropriately named, because unless you know where to find it, it’s an easy spot to miss. The Hideout opened in January of 2015 and it became an overnight sensation. The restaurant is routinely packed for both lunch and dinner, and locals have taken to raving about the place on Facebook and Yelp. They feature American bistro style cuisine – soups, salads, burgers and sandwiches, an array of tasty appetizers, and a full cocktail bar with a dozen or more beers on tap. The interior is divided up in to several distinct areas, which makes it good for groups. There’s also an outdoor seating area, which surprisingly isn’t too loud given its proximity to both Soquel Drive and the freeway. The building that the Hideout calls home was originally a home, built in 1927 by some early Aptos residents. Over the years since it stopped being a house it’s been used by several different restaurants, but has been thoroughly renovated and updated by the owners of the The Hideout. Today it’s a chic and fun place to go for lunch or dinner. The Castro House in Aptos is one of the oldest remaining structures in Aptos. It was originally built by Vicente Castro in 1870s. Vicente Castro was the son of Rafael Castro, who originally received the 5000 acre land grant for Aptos Rancho from Mexican Governor Jose Figuroa in 1833. Today the Castro House is the community center for the Aptos Blue housing complex, and has been totally remodeled and updated on the inside, while retaining the original style on the outside. The Seacliff Visitor’s Center is another Aptos Gem. The Visitors’ Center is where you go to learn about the SS Palo Alto, and also about the marine life and environment of the area. They have a little pool where the kids can touch starfish, anemones, etc. Sometimes you can make kites there too. Ask them to start the 8 minute video in the visitors center which gives a brief history of the SS Palo Alto. They also sell a number of books, souvenirs, and toys for the kids. The Visitor’s Center is run by the Friends of Santa Cruz State Parks, and is open Wednesday through Sunday, 10 AM to 4 PM, but best to call first (831-685-6444) to make sure they’ll be open, as it’s run by volunteers. If you’re looking to dig into Aptos’ past, the place to start is the Aptos History Museum. It’s located just off the State Park Drive freeway exit, adjacent to the Best Western Seacliff Inn (and Severino’s Bar and Grill). The Aptos History Museum is a wonderful community asset with a fantastic collection of local artifacts, photographs, and information. It is made possible by the many volunteers who continue to donate their time and talent. The museum operates financially solely from memberships and donations. They also have a small gift shop, a great place to buy something special for that Aptosian who already has (almost) everything. Tip: Get involved! Come to a board meeting, the third Wednesday of every month, between 4 and 5 PM.